This is the start Menu. only persons with a valid password can access a patient's data. 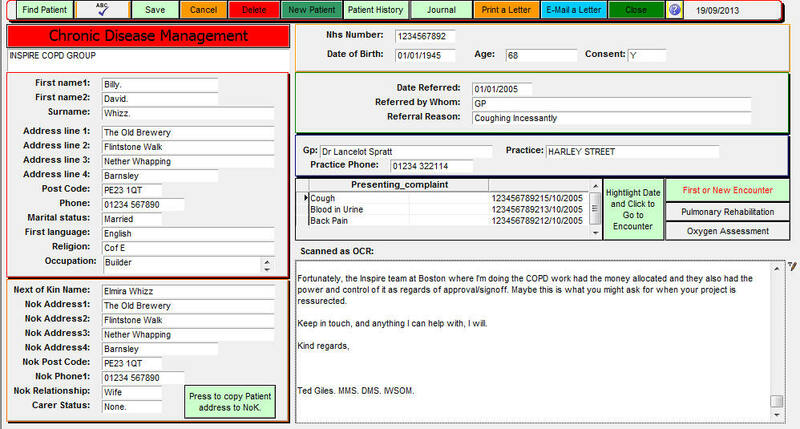 There are many facets to this application, which was developed in association with one of the leading UK authorities on COPD. Patients can be found by selecting the Initial letter of the Family Name. This shows the patient history of presentations. Once the examination is under way, the results can be recorded. 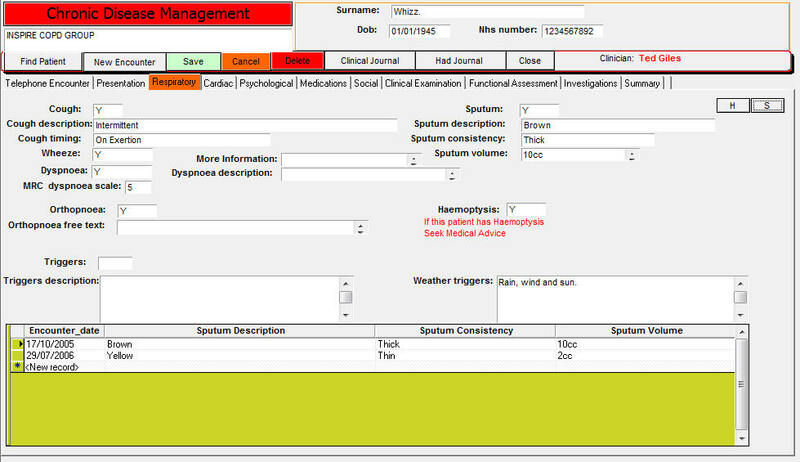 The Tabs - Telephone Encounter through Summary are separate screen and data entities. HAD scoring is also a feature, as well as Psychiatric assessments which are available separately.